Affordable and sweet, this designer wedding dress from Stella York is an absolute classic. 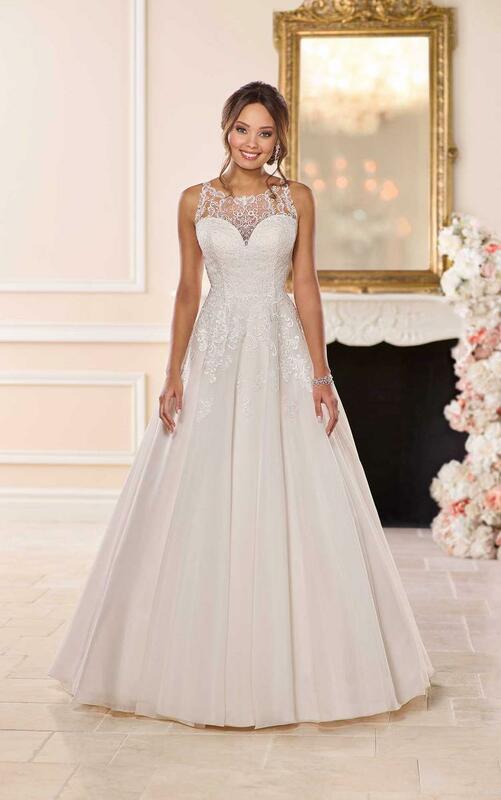 Lace, tulle and royal organza create a traditional A-line silhouette with a modern, high halter neckline. The lace from the bodice falls gently down the waist and lightly onto the skirt in an asymmetrical pattern.